How you train during the off-season is quite a varied topic when it comes to professional disc golfers. Some literally put their bag in a closet and don't touch a disc for months, while others take their time at home to engage in a rigorous workout schedule to prepare them for the next season. But you don't have to be a touring pro to practice exercises that will help improve your game, as our partner Seth Munsey at Disc Golf Strong demonstrates. He's working with DD and the Disc Golf Answer Man to provide tips and information that will help disc golfers of any skill level to maintain their health and avoid injury. In his first video, Seth talks about core strength and how it is foundational for helping your game. With the dead bug move, you can help to build a strong center and eventually generate more power when you throw from a well-developed set of core muscles. This exercise works well for any player regardless of athletic ability and will get you on your way to a more stable core. 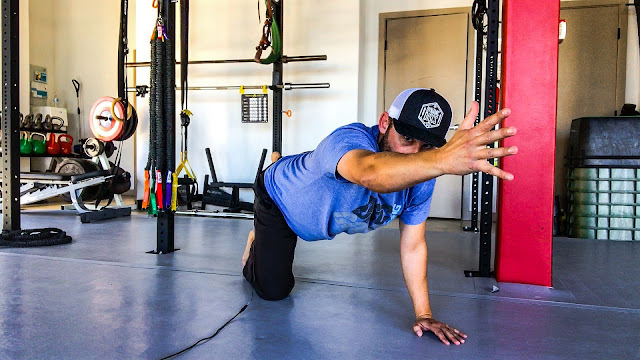 Seth expands upon his core strength series with his second instructional piece where he shows us another beginning move called the bird dog. This type of exercise helps to maintain the integrity of our spine while engaging our ab muscles. Check out both of his videos to incorporate some of these awesome moves into your workout routine, and be sure to keep your eyes out for more from Seth!